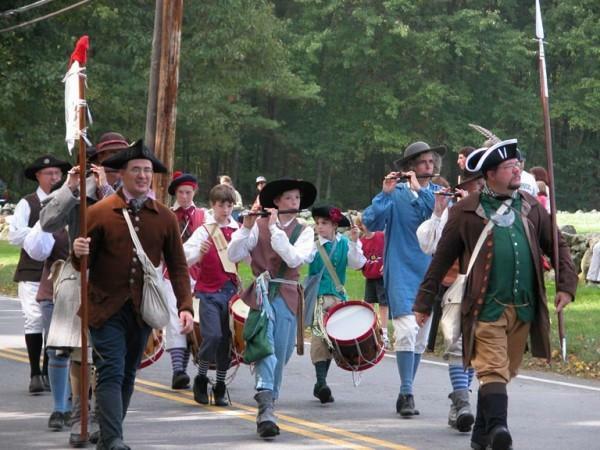 The Stow Minutemen have an active corps of Fifes and Drums. No prior experience playing music is required, only a willingness to learn and have fun. We provide FREE fife and drum instruction every week for all ages, followed by a music and marching practice for the whole group. Beginners fifes and drum sticks may be purchased for less than $10, and drums may be loaned by the Company.